Dr. Mary Ruth Lewis taught for 24 years at UH and continues to impact students today through her endowment gift. Being of service to others was of utmost importance to Dr. Mary Ruth Lewis, a champion for social work, children and families. Since 1980, when she was hired to develop the Children and Family concentration in the Graduate College of Social Work's (GCSW) Master of Social Work (MSW) curriculum at UH, Dr. Lewis accomplished much in the way of providing legal rights for children. Fueled by her frustration with the lack of family-oriented policies and general support for parents in their parenting roles, Dr. Lewis championed social policy changes in the face of complex political processes. Professionally, she single-handedly developed the curriculum for the GCSW's Children and Family concentration and found an outlet for her passion for the protection of children in society. Having spent time studying in the United Kingdom, Dr. Lewis also developed a deep appreciation for the benefits of international engagement and led the Graduate College's first international study abroad course. Today, because of her vision and commitment to global studies, the unique opportunity afforded MSW students to travel abroad has led to the GCSW being recognized as a leading international social work education program. behind a legacy at the GCSW. In 2010, she met with the Office of Gift Planning at UH to develop the terms of a gift agreement and create the Mary R. Lewis College Professorship Endowment in Children and Youth in the Graduate College of Social Work. Under the terms of the agreement, the income for this endowment will support either a full-time tenured faculty member or a visiting professor who studies the impact of social policies on the lives of children and youth. 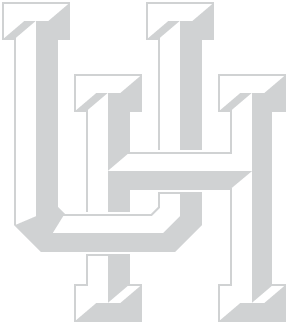 When she was in the process of establishing her planned gift to UH, Dr. Lewis was asked what she wished her legacy might be. Her answer was simple: "I would really like to be remembered as a good teacher, as a faculty member who impacted people in the social work profession. That I somehow impacted the profession in a way that will benefit children and youth, as well as other groups. That was what I was trying to do." We are honored to say that Dr. Lewis' legacy is now a permanent part of the GCSW. Through her designation of UH as the beneficiary of her retirement assets, the gift plan she created in 2010 has been fully funded. The many contributions she made to the social work profession and to children everywhere will serve as inspiration to the first and future holders of the Mary R. Lewis Professorship at the Graduate College of Social Work.